Food is more than grains and meat! For too long has the Farmers’ Union (Norges Bondelag) decided what’s food and how good – or rather terrible bad – we are on self-sufficiency in this country. They completely overlook the fact that Norwegian fishermen and fishfarmers every day brings on land enough fish and seafood to cover the protein requirements of 40 million people. Norway is the poorest in class with a historic low self-sufficiency ratio below 40 percent, stated Nils T. Bjørke in Norwegian Farmers’ Union (www.bondelaget.no). He concludes that we cannot rely on the rest of the world to produce our food. The underlying message is that we need more subsidies for food production – yes, to agricultural food production. Farmers’ Association equates “Norwegian food consumption” and “self-sufficiency”. Self-sufficiency rate – as the Farmers’ Association defines the term – only covers Norwegian produced foods sold in Norway. This ends wrong. We are still self-sufficient in cheese if imported French cheeses and exports of Norwegian cheese are equivalent in quantity. In theory, we could just eat Norwegian cheese and be “self-sufficient”, but Norwegian consumers want some variation, and thus we import camembert and exports Jarlsberg. Also for fruit: where are we first self-sufficient – such Farmers’ Association sees it – when we only eat fruit when Norwegian apples are available in the fall. The self-sufficiency is “destroyed” by the imorted oranges that are to find in the store throughout the year. These examples are of course a bit quirky, but illustrate the point: It ends wrong if we ignore completely Norway’s export of food when we calculate the self-sufficiency rate. It is wrong to disregard fish. Norway is the world’s second largest exporter of seafood, surpassed only by China. Every year brings Norwegian fisheries and aquaculture industry on land ca. 3.9 million tons of fish and seafood. The numbers are so large that it is difficult to understand the magnitude of them, but I’ll make an attempt. According to FAO (UN Food, Agriculture, Forestry and Fisheries), is the daily protein requirements for humans around 0.8 grams per kilogram of body weight. It takes thus around 280 tons of protein per day to ensure the building blocks of every Norwegian body. 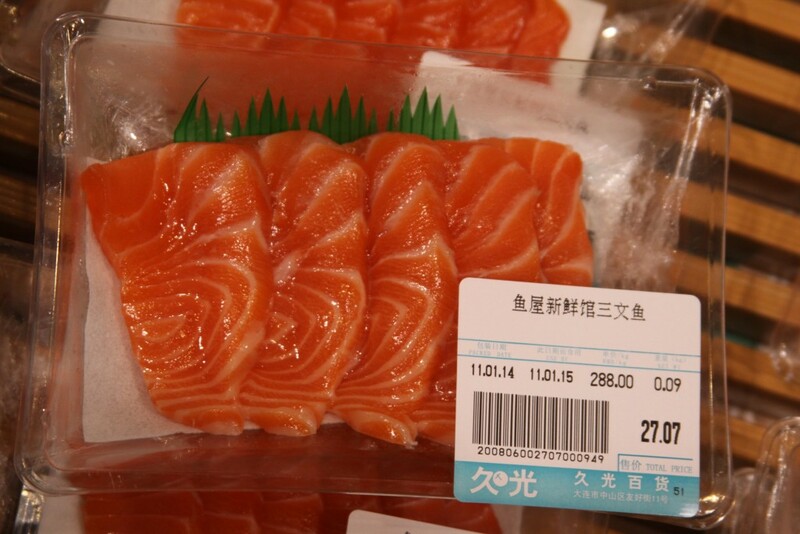 Daily acquire Norwegian fisheries and aquaculture to weigh over 2100 tons of protein. Thus, not only enough to our five million inhabitants, but to almost 40 million people! 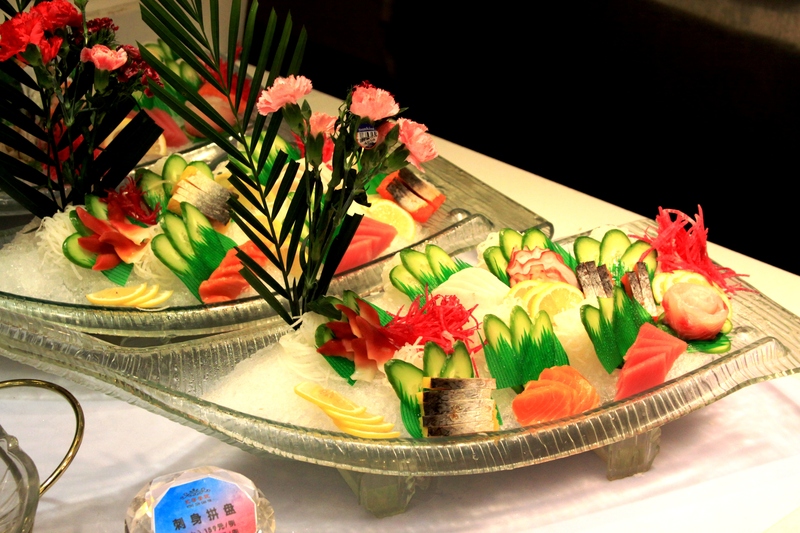 In addition, the quality of protein from seafood is very high. We do not live of marine proteins alone. A balanced and varied diet contains both imported and locally produced food from both land and water. While the world gets ever more mouths to feed, the food production on land has soon reached the tolerance limits. This means that growth in food production must come in the blue field. But even here there are clear limits. Most fish resources are highly utilized, and we have to think of other species and harvest lower in the food chain. The aquaculture industry has its sustainability challenges, but the growth potential is enormous. Kelp, shells and fish low in the marine food web should constitute the real increase in world aquaculture production. We have with our long coastline and special fjord landscape large benefits. Just mussels possibilities are enormous – using controlled upwelling of nutrient Norway can produce 1 million tonnes of mussels annually in just two thousands of our coastal area. The solutions are available. Here at home, we can begin to count all the Norwegian food when we discuss self-sufficiency. It gives a realistic picture of the situation, enabling us to make the right moves to increase both food security and self-sufficiency and ensure that we contribute to global food security. Next Post:Meat is food, but fish is just fish!